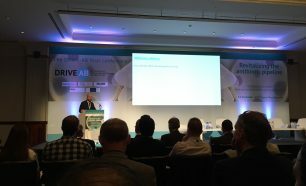 The final DRIVE-AB conference, “Revitalizing the antibiotic pipeline: Stimulating innovation while driving sustainable use and global access”, was held at the Crowne Plaza Le Palace in Brussels, Belgium, on 5-6 September 2017. The conference attracted approximately 200 participants from a wide range of stakeholder groups, including policy-makers, medical professionals, representatives of the pharmaceutical and biotechnology industries, civil society communities, and regulatory and public health experts. The day and a half conference was focused on the communication of the consortium’s research results and recommended options to drive investment in antibiotics that included a combination of incentive mechanisms along with finance and governance options to support their implementation. These presentations were followed by panel discussions with experts from organisations such as the World Health Organization, the European Commission, and the Biomedical Advanced Research and Development Agency, among others, to discuss the feasibility of DRIVE-AB’s recommendations and the opportunities and barriers to their implementation across global settings. Participants also had the opportunity to view twenty-five scientific posters summarizing the details of the consortium’s research results. The DRIVE-AB consortium will consider the feedback resulting from the conference discussions as they finalize the policy report, which will be freely and publicly available in early 2018. To view posters and slide sets from the conference, please click here.